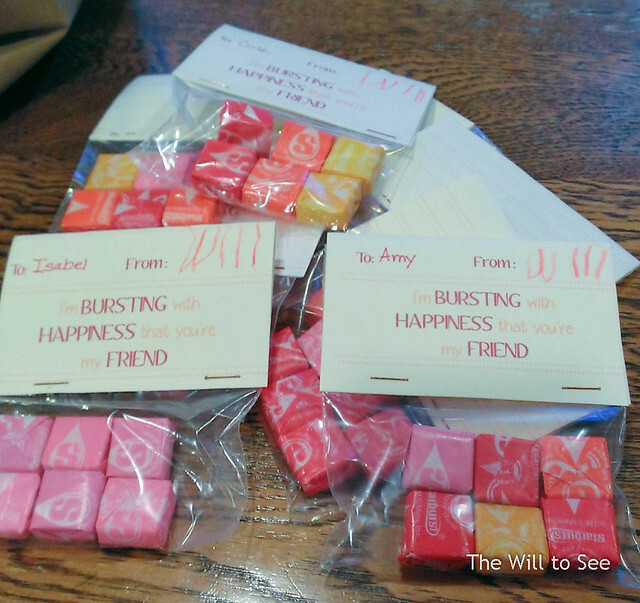 Photo Friday – Happy V Day! 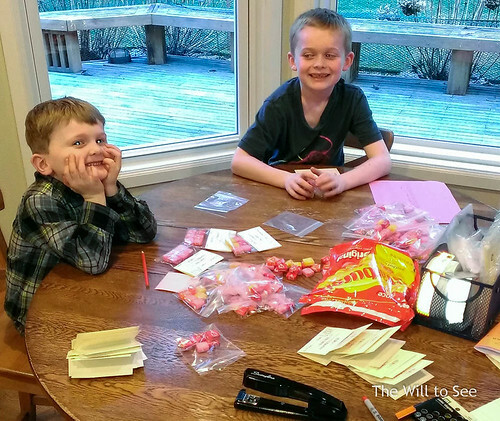 Last night the boys put together Valentine cards for their classmates. Believe it or not this is the first year we have made the valentines and not purchased the cards from the store. Using Pinterest I found some ideas for the boys to pick. Will picked these and Jack actually picked ones that were for swedish fish. However I couldn’t find individually packaged swedish fish (after looking at six stores), so he said it was OK to do the same as his brother. 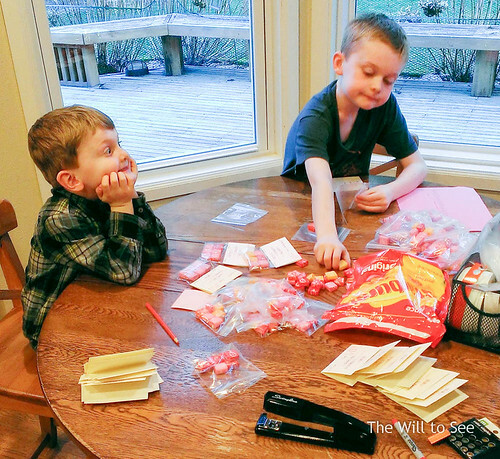 Note next year find the candy first then present options to the boys. Will wrote his name on all the cards for the first time. 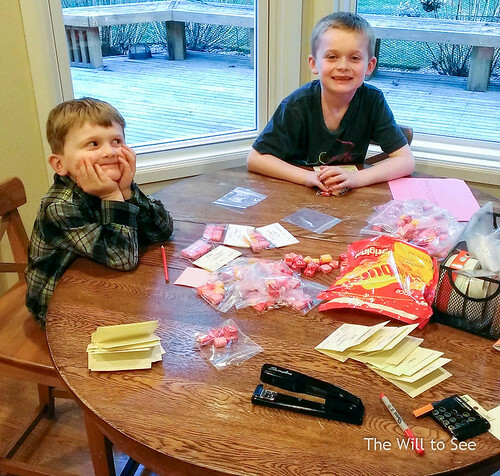 They both helped fill baggies with starburst. The process of getting a photo wasn’t as simple. See below the three takes before where I couldn’t get them to look at the camera.